Tapping into user-generated content is a compelling way to make customers a core part of your brand. Discover ways to make this connection in our latest blog. When your audience appreciates your brand so much that they play an active role in promoting it on their platforms, you know you’re onto a winning formula. That is the goal of user-generated content, a marketing strategy that enlists the help of your existing audience to promote the benefits of your products and services to their friends, family and followers. Hopefully you checked out our previous article on user-generated content outlining what it is, why it's effective and the numerous advantages. Here, we go the next step, and give you some ideas for UGC strategies that engage your valued followers and encourage them to play an active part in spreading your brand’s message. Creating shareable, engaging images, videos and posts is an effective way to encourage followers to spread your campaigns far and wide. Build anticipation for big posts and events by using teasers and sneak peeks, and focus on content that people can comment on and build on in their own unique styles. 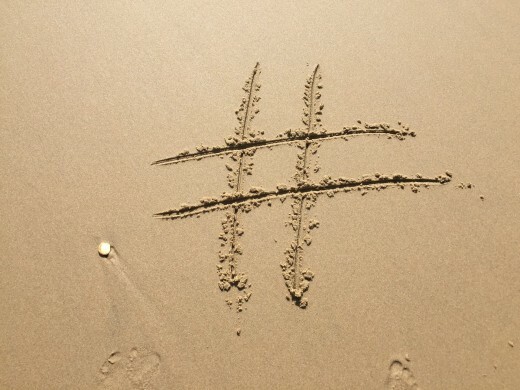 Personalised hashtags in conjunction with a quality social media campaign can be a great way to expand engagement across Twitter and Instagram, and unify followers under one sentiment. Could your brand come up with the next #PutACanOnIt? An effective way to incentivise your followers to share their content is by running a competition or contest. Whether it’s asking them to leave a comment, share a photo or design something unique for the chance to win something special, the right competition (with the right prize of course) can invest your audience and attract more eyes to your brand. When your customers have something nice to say about you, show it around. Reviews are an effective sign to your followers that real customers have benefitted from your products and services, which many consider more valuable than hearing the brand themselves talk about them. Also, don’t ignore the bad reviews – this is an opportunity to engage with disillusioned followers, remedy their issues and give them reason to promote you down the road. Rewards give your followers a reason to feed in with quality content. It doesn’t have to be a trip abroad or a luxury shopping spree – depending on your scope it could be a mention on your website or monthly newsletter. This makes your customers feel appreciated for their efforts and incentivises them to contribute further, as well as others to receive the same rewards. We’ve spoken in greater detail about cause marketing and how this should be applied by brands. As long as your reasons for sharing this is authentic, in-tune with your followers’ interests and not entirely self-serving, supporting a cause can unify your audience and get them invested behind this purpose. If your business is developing a new product, it could be an opportunity to send prototypes to followers to gauge their interest. This not only gives you some valuable user testing, but it helps these followers feel like they’re playing a role in the future of your brand, and share positives about the test product before it is mass-produced. YouTube unboxing videos have gained steam in recent years and are an effective way for brands to reach people who maybe fans of the YouTuber, but aren’t aware of their offerings. Sending out freebies to these influencers for them to feature online in their unique styles can open your brand to an entirely new audience. Instead of spending money on professional models and scenery for your offerings, why not ask your fans to do this? Not only will this likely be more cost-effective, but it better illustrates to followers what the products will look like when they own them, and forges a deeper emotional connection with your audience. Finally, you could devote some time to engaging your audience through interviews and other speaking engagements. Here they can talk about why they choose your brand over competitors and what’s special about your offering, showing other followers and beyond the passion that people have towards your company. Could Your Brand Benefit from User-Generated Content? Now you’ve gotten a glimpse into some of the prevailing ways organisations encourage user-generated content, do you feel any of them would be effective for your brand? If you believe this could become an effective aspect of your overall marketing efforts, speak to our team for experienced support. At Storm, our expertise brings together a range of marketing techniques under one unified strategy. Our considered approach gets the ball rolling, our creativity brings these concepts to reality, and we constantly review and adjust in search of the best possible results. If you feel you can get more out of your marketing through user-generated content or other tried-and-tested techniques, our team are more than happy to discuss ways we can amplify your content and engage your audience. If you’d like to discuss UGC and other ways to diversify your marketing, get in touch with our team on 01702 719595 or fill out our contact form. Should Brands Be Fighting Social Causes?